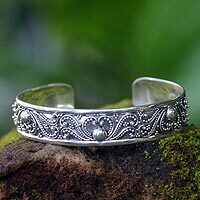 Novica is a lovely place to shop online. You get to select from beautiful items from all over the world while helping artisans in need. 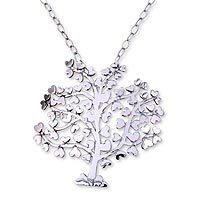 For Mother's Day its a wonderful place to get some jewelry or a bag for yourself or your own mother, grandmother or mother in law. They are handmade items that come with a little card that tells you about the artist. Some of my favorite items are the handmade jewelry pieces. For Mother's Day I selected a classic pair of Pearl Earrings. 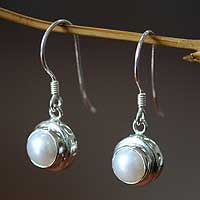 The earrings are cultured pearl dangle earrings in .925 sterling silver called Full Moon made by an artist from Bali, Nyoman Rena. They are beautifully crafted. I love that I can wear them with jeans and a tshirt and they are still perfect for a dress and heels. All women need a simply and classic pair of earrings like these. Novica has many great gifts for Mother's Day including bracelets and necklaces. What item from Novica would you like to have for Mother's Day? *Limited to US residents; 18 years old and above. Giveaway starts April 12th, 2012 and ends on May 6th, 2012 at midnight PST. Winner will be emailed and has 48 hours to respond before another winner is selected. I was not paid for this giveaway or post. The opinions on this item are 100% mine and may vary from others. The sponsor is responsible for providing the prize. I absolutely love the amethyst gemstone flower cuff. Beautiful! I love the Thai bouquet cuff. I love the Wool shawl, 'Red Wine Forest'. I LIKE Novica on Facebook. ID: Lynda C.
I'd love the Amethyst pendant, 'Jaipur Diamond'. I liked Novica on FB via Amy Zak. I'm following Novica on Twitter @getbackzack. I liked Frugal Family Tree on FB via Amy Zak. I'm following Frugal Family Tree on Twitter @getbackzack. I really like the Soapstone sculpture, 'Night Hunter'. I would buy Rose quartz earrings' charm, 'Budding Love'. Absolutely beautiful! i would love to have the Carnelian and amethyst jewelry set, 'Enthralled'! The follow the dream earrings. I would be thrilled to have "Mother's Love' sculpture, as my husband and I are currently expecting our first child in June! I would be thrilled to have the 'Mother's Love' sculpture, as my husband and I are expecting our first child soon! 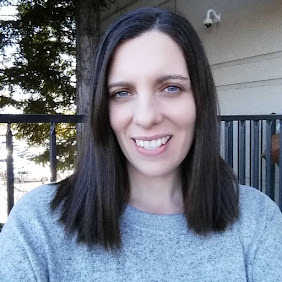 I happen to LOVE Novica - my most favorite "place" to shop in the whole wide world... Choosing a favorite or "first choice" when you have 300 items on your (my) official Novica Wish List is no easy feat! Recycled metalized wrapper shoulder bag, 'Confetti'! awesome. The solar orbit ring! Thanks!! I love the rainbow placemats. Share on Facebook using Link/button below blog post. I would love the Chinese Zodiac Monkey Necklace. I'd love to have the Cotton batik robe, 'Ocean Paradise'. I'd like the red sunflower fan mirror. I like the pearl and rose quartz cluster earrings. Christina - xristya@rock.com - I'd like to have the Parwati's Passion garnet necklace! i love the amethyst earrings "Love Song"on Novica! I'd like the Sterling silver brooch, 'Regal Orchid'! I like the peridot flower necklace- sunflower green. I would like the elephant guardian cedar bookends. Thanks for the giveaway. I like the Palm Leaf Box "Coconut Grove"
I would love the Hammock, 'Maya Rainbow' for Mother's Day or any day! I would love to have the Sterling silver filigree earrings, 'Tulip Dance' by Yuli. 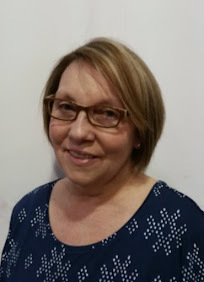 Follow Frugal Family Tree on Google+ (Elena Shkinder-Gugel). I like Frugal Family Tree on Facebook (Elena Shkinder-Gugel).